Interested in getting involved with the IndyBar Appellate Practice Section? Fill out this form for more information on committee positions and volunteer opportunities. The Appellate Practice Section Executive Committee welcomes blog submissions which will enlighten and educate members of our section. Please be advised that submissions will be reviewed prior to posting and may be edited for content, clarity and space limitations. Submissions should be sent to Kara Sikorski at ksikorski@indybar.org. The Amicus Committee of the IndyBar Appellate Practice Section monitors and reports on pending litigation or appeals that may affect appellate practitioners or appellate practice in Indiana. The Amicus Committee also considers requests for the section to participate as amicus in appeals that involve matters of Indiana procedure. Get more information, see past briefs and request IndyBar amicus participation here. The purpose of the IndyBar Appellate Practice Section is to promote the objectives of the Association within the field of appellate law. 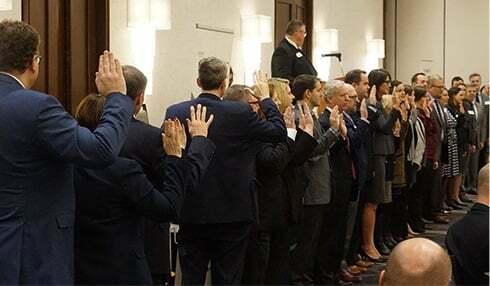 To that end, it is the purpose of this Section to provide an educational and diverse forum in which to discuss current appellate issues, interact with local appellate attorneys and judges, provide services to its members in the form of CLEs and moot oral arguments and, when appropriate, be the voice of the local appellate bar. Want to keep up with the latest Appellate Practice Section news and updates?